Volatile, tender, visceral, solitary: such is the work of Erik Hart and Tati Lëshkina, a visual art duo who operate under the collective moniker, Hart+Lëshkina. 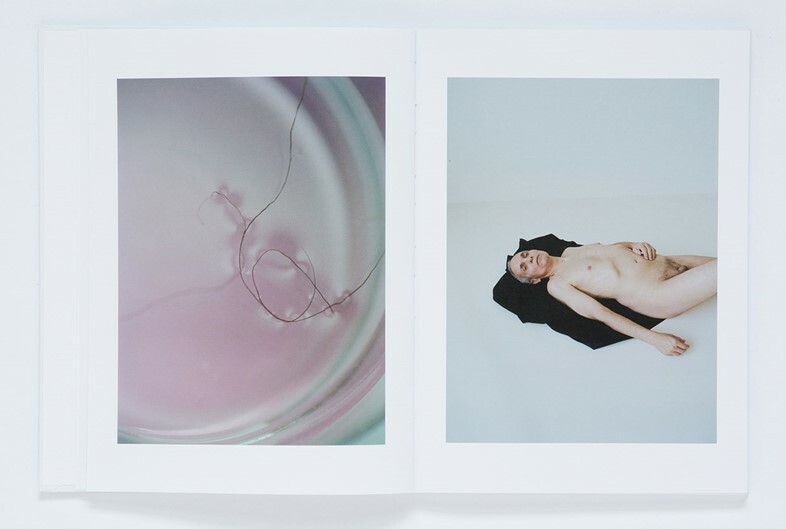 Based in New York, Hart and Lëshkina’s diacritic practice is largely informed by the transience of time and human experience, and spans the fields of photography, moving imagery, installation, sculpture and printed matter – creating a raw, highly-ephemeral aesthetic that routinely elicits wonder, shock and awe. Below, Hart and Lëshkina expand upon the concept and realisation of their curious new book. What did you want to achieve – creatively and perhaps emotionally – with Beyond the Clouds? Erik Hart: "It wasn't about achieving something, it was rather about the process and discovery. It was very important to us for this work to live on paper and be tangible. Putting this book together also led us to find new narratives and dialogues in the work. It influenced the way we saw it, for instance, we just had a solo show for Beyond the Clouds and we decided to hang some of the prints next to each as diptychs, frames almost touching, the same way you'd see them in the book spread." Tati Lëshkina: "Our art practice is something which is integral to our world, it feeds the other things we do. When we work on our art it affords us the luxury of time. The work is process based and evolves over longer periods. It’s so different from our commissioned fashion work which is fast-paced, collaborative and reactive. Its imperative for us to be able to operate in both modes of creativity. They both stimulate and challenge us in different ways." Transcience is a recurring theme in your work, why? TL: "[Transcience] is a condition that informs much of our work. It’s present in every moment of our existence from communication, to emotion, to thought, to technology and one's own perception." The portraits are especially evocative – was that your intention? EK: "Well, we are constructing and communicating our point of view, always hoping that our images evoke an emotion from the viewer, however this is not something we ever consciously consider when making work." The book was designed by the brilliant Hideki Nakajima – how and why did he come to work on the project? TL: "We were first introduced to Hideki while we were in Tokyo last September. We had an immediate connection with each other through our work and the things which we are drawn too. We share a similar sensibility. 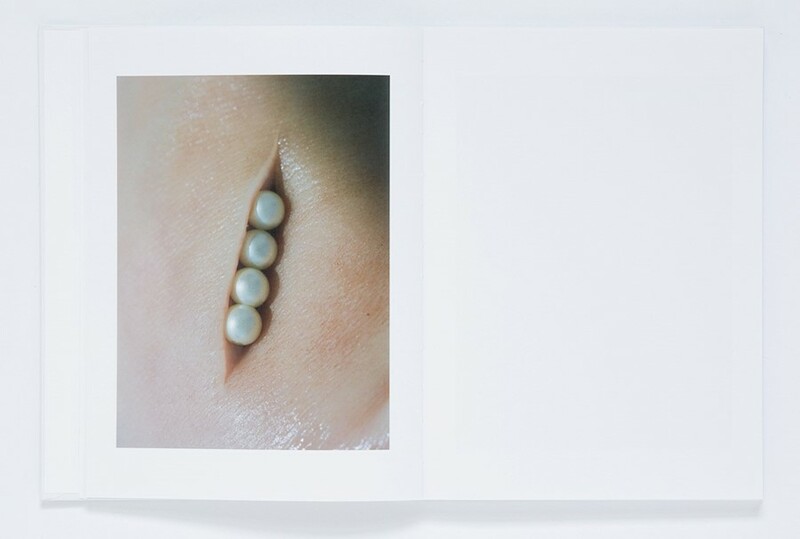 He has worked with and created books for some of our favorite artists and photographers including Seiichi Furuya, Araki, Boris Mikhailov, Jack Pierson, Rinko Kawauchii, and Mark Borthwick to name a few. After our meeting he invited us to his local Izakaya and after dinner he offered to design our book for us. We agreed on the spot and that was it!" What do you most admire about his aesthetic? TL: "Hideki’s work is very pure and full of signature details that you don’t notice right away but that are some of the most beautiful and eloquent. There’s is a real sensitivity to the way he works. He is passionate about the artists he works with. He is a true master and it was an honour and a great learning experience to collaborate with him on this book." What did you learn when creating this book? EK: "Edit, edit and edit. It's important to throw yourself away a bit." Which spread do you feel best epitomises your signature aesthetic? EK: "There is not a single image or spread that summarises our aesthetic as we feel this body of work functions as a whole. The work can be reconfigured and re-edited, however it wasn’t our intention for it to be viewed as a single image or diptych." Beyond the Clouds by Hart+Lëshkina is published by Total Visual Shop.